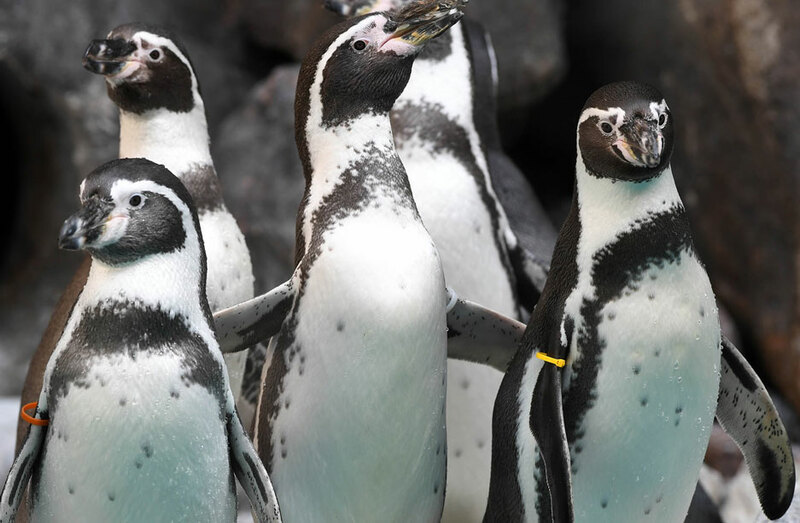 Save with all-inclusive Zoo Membership! The first-ever safari — Brick Safari that is – is coming to Brookfield Zoo. More than 40 life-size animal sculptures will be swimming, stampeding and flying their way here this summer. View along a winding pathway wildlife sculptures created from millions of individual LEGO ® bricks. These never-before-seen-in-North-America LEGO ® brick sculptures will amaze kids, those young at heart, and Adult Fans of LEGO® (AFOL). Walk past lions, tigers, and bears – and you might even spot an elephant with his trunk held high, or a silverback gorilla watching the crowd. 11:30 a.m. and 2:30 p.m.
Get to know our dolphins through an exciting and educational Dolphins in Action! Learn about dolphin social structures and adaptations as our dolphins captivate you with aerial displays and other exhibitions that show off their incredible intelligence and agility. The just over 3-acre exhibit, geared toward guests of all ages, will feature unforgettable hands-on experiences that include opportunities to touch and feed animals, including parakeets and goats. There will also be red pandas, llamas, alpacas, wallabies, and reindeer as well as additional up-close encounters with more animal ambassadors. The Play Zoo is ready to welcome guests at 10:00 a.m. each day and will close to get ready to play again one half hour every evening before the park closes. The award-winning Hamill Family Play Zoo is like no other place you’ve visited! Children will have fun touching, exploring, building, and playing while connecting with nature. They can pretend to be a zoo keeper, dress up like a lemur, or make some crafts. The primary goal is to foster feelings of love and caring toward nature by doing, rather than communicating scientific concepts or facts. All seated riders require a ticket. Weather permitting: Take a spin in one of the largest hand-carved wooded carousels in the country! Located near the zoo’s North Gate entrance, The Carousel features 72 animals, some highly endangered, and three stationary animal chariots. Tickets allow guests to ride all day.